The Israeli prime minister has accused Iran of being behind car bombings in India and Georgia. 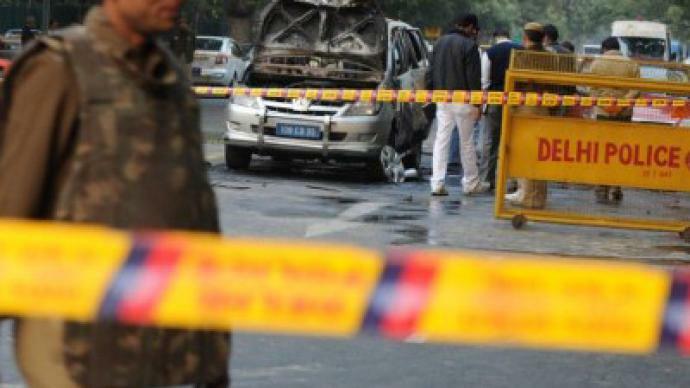 Explosive devices were attached to cars belonging to the Israeli embassies in Tbilisi and New Delhi. Prime Minister Benjamin Netanyahu has labeled Iran “the world's top initiator of terror,” claiming the bombs in New Delhi and Tbilisi are not the first attack against Israeli citizens coming from Iran. "We have seen attempts to hurt Israelis in Azerbaijan and in Thailand [over the past few months]. All of these incidents were stopped with the help of local [authorities]," he added. In all of the recent attempts "Iran and its proxy Hezbollah was behind the attacks," Netanyahu said. Iranian officials deny the accusations coming from Israel. “We categorically reject the accusations. They are part of a propaganda war,” Ramin Mehmanparast. “Iran condemns all acts of terrorism,” he added. But journalists in the region are convinced the attacks were a revenge for the murder of Iranian nuclear scientists: “I think in the same way that Iran has pointed at Israel for the assassinations of nuclear scientists in Iran without having absolute proof, the same way Hezbollah has pointed at Israel for the death of Imad Mughniyah without any proof. It was pretty obvious who was behind the attack today,” says Larry Derfner. Four people are confirmed injured in the India attack. They are currently in hospital. A bomb was defused in Tbilisi. "We will continue to work with local security forces to stop attacks and will act with a strong hand" and systematically fight international terror, "which comes from Iran" said Avigdor Liberman. The double attack comes one day after the fourth anniversary of the assassination of Hezbollah's deputy leader Imad Mughniyah. Ahead of the February 12 anniversary, Israeli foreign missions were put on high alert. The embassies were reported to be well-secured. Last year Israeli embassies around the world received several suspected terror threats on the third anniversary of Mughniyah’s death. And it looks like neither side is ready to give up the fight. “I’d be surprise if Israel didn’t hit back for this. And that could further cause another escalation, and getting this chain reaction moving a little faster until we end up with a war”, says Derfner. 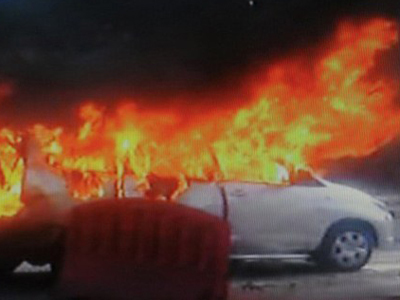 ­Radio host Stephen Lendman believes Iran had no reason to organize the attacks. Lendman believes that “Israel has no compunction about killing Jews as well as anybody else if it serves their intention”. He points out that though both the US and Israel make charges, they do not provide any evidence. Lendman says he does not see what Iran might gain from such an attack at a time when it is already being accused of many things.